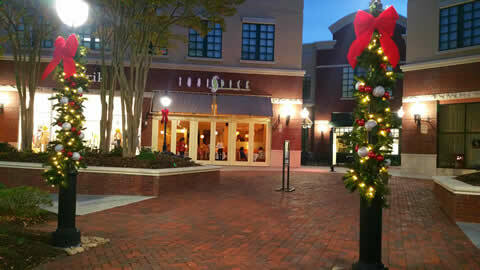 we provide lighting & decorating SERVICES for shopping centers in and around atlanta, georgia. 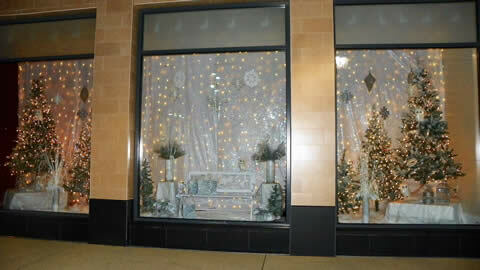 Seasonal Designs has the experience to make your shopping center beautiful and festive for the holidays. We are able to install beautiful decorated garlands and structured bows for your lamp posts, stunning tree lighting, and gazebo. 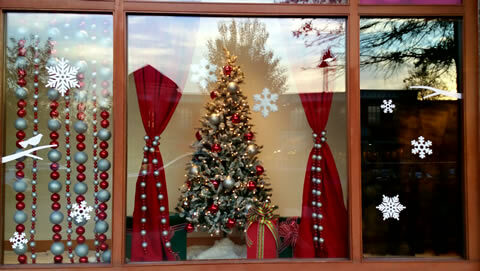 Our decorating will make the people visiting your shopping center gather for Christmas photos and share the holiday. 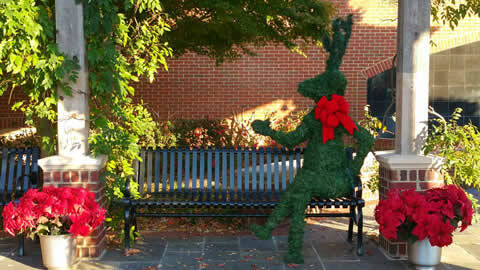 Let us make your Christmas decor the centerpiece of your shopping center. 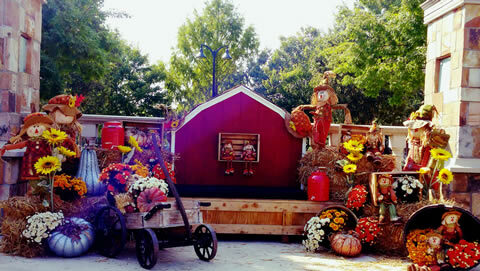 Seasonal Designs is able to design a display for any unleased spaces in your shopping center. 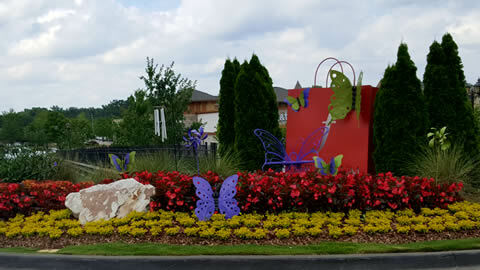 Our goal is to give you a display that grabs the attention of your customers and people driving by your shopping centers. We want them to feel invited into your center and to be able to enjoy the beauty of all the different season displays. We can do winter scenes with soft lighting and snowy decor, Santa Areas with red drapery and sparkling silver and red ornaments, all of them that grab attention from your customers. Our christmas displays will have bright sparkling colors and in the evening, the lighted decor will glow! 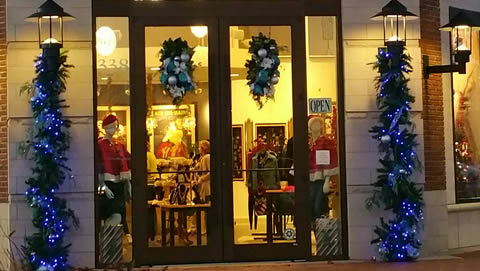 Seasonal Designs has been decorating and lighting the entrances for shopping centers since 2008. 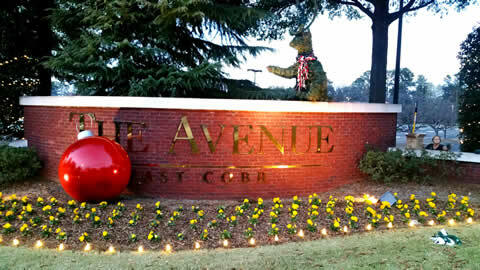 Our decorated entrances will make your shopping center beautiful and festive for the holidays. We are able to install beautiful decorated garlands and structured bows for your lamp posts, stunning tree lighting, and gazebo. Our decorating will make the people in your shopping center gather for Christmas photos and share the holiday. 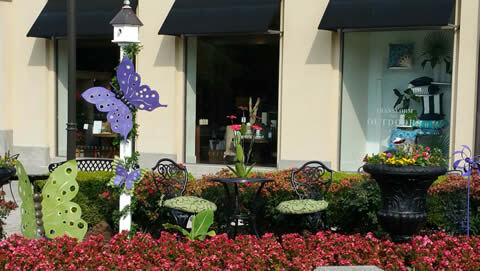 Let us make your shopping center the centerpiece of your community. 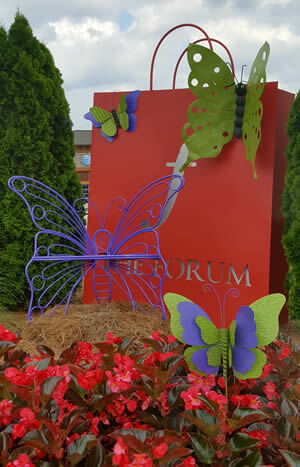 The beauty of Spring Butterflies and Pinwheels that pull customers into your shopping center. 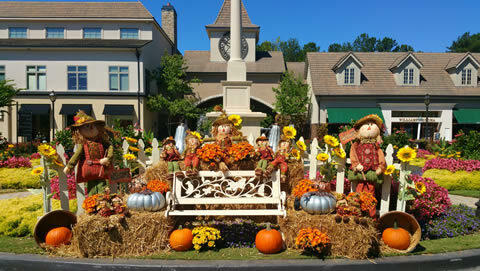 Fall Decor Displays that give your customers opportunity for photo's.